Here at Earth Networks, we value every employee’s contribution to helping us automate weather-related decision making across the globe. However, there is something special about our Field Technicians. Who are the field technicians? That’s what this latest blog series is all about! 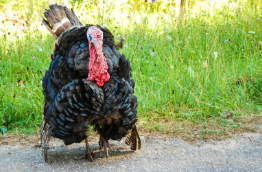 Each week, we’ll sit down with a different employee, so everyone can get a chance to meet the wonderful people who ensure everything Earth Networks is running properly. This week, we sat down with Bill Angel. Bill has been an Earth Networks employee since 2010 and is one of the most fun folks you’ll meet on the team. 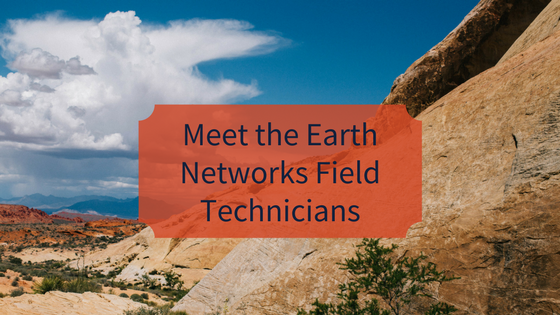 As a Field Technician at Earth Networks, Bill provides installation, maintenance, and calibration for lots of different Earth Networks equipment. This includes weather stations, lightning sensors, and weather cameras. Bill also services our greenhouse gas sensors that are part of our network through JPL and Scripps Oceanography. Another responsibility to add onto Bill’s long list is providing field support for our business partner Radiometrics in Colorado. Bill is the team member who covers the West Coast of the United States. He supports the three Urbanet cities in California with a total of 215 weather stations. 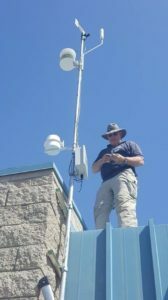 He also maintains 15 GHG sites in California, one in Oregon, and three radiometers for Radiometrics in California. If you’re an Earth Networks customer in Bill’s area, you’ve most likely already had the pleasure of meeting him. If you’re about to be an Earth Networks client, here’s what you’ll need to know about Bill before he visits your site. No matter where Bill travels for work, he always enjoys the change in scenery. “I did a lightning and weather station install in Mongolia that took two days to complete when it was -15 (F) degrees outside. The very next day, I was in Sri Lanka installing a lightning station during a monsoon rainstorm in 90 F weather with 95% humidity.” Talk about working in the elements! In his free time, Bill is an avid explorer. He likes to take his Jeep out to the desert or up in the mountains and go off roading with friends. 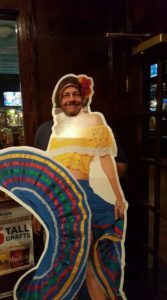 He especially enjoys multi-day trips with no paved roads because “getting there is ALL the fun!” A perfect night for Bill includes a Mexican dinner (complete with a margarita!) and some Jimmy Buffet playing on the radio. 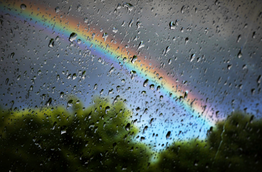 When you offer the world’s most advanced weather tools you have to offer the most advanced support, too. Anything can happen to equipment out in the elements. And that’s why we’re so lucky to have great field technicians like Bill and the rest of the team. He works hard to provide enough information to our onsite contacts so that they understand what the purpose of their equipment is and how it works. He’s like a teacher to some of our clients. “If I can get them to understand how the equipment works the stations should have a higher online percentage. When they understand how the equipment is supposed to operate, I can get better assistance from them when I call or email them.” Bill’s relationships with our clients is key in keeping our network up and running and providing the data for them to make better weather-related decisions. If you’ve had a great experience with Bill that you’d like to tell us about, please let us know in the comments below! Thanks for reading and subscribe so you don’t miss next week’s Meet Our Field Technicians blog post. I’ve worked with Bill, he gets the job done right! We think so too, Marta. Happy New Year! Bill is a great friend, lots of fun to Jeep with & quite a squirrel when we’re out ‘playing’ 😎 Oops..did I say that? Earth Networks is lucky to have him! Bill is a great friend. He works hard at whatever he is doing. Work or play he is all in. Bill’s a good friend and a great guy!! Nice write-up! !